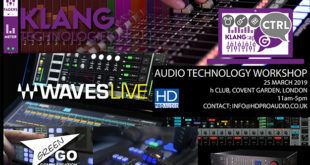 VUE audiotechnik will showcase the integrator-optimised e-Class at NAMM 2019 later this week. 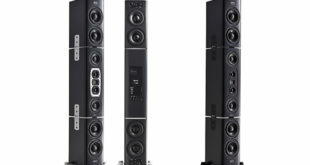 The e-Class range will be presented in an immersive 5.1 environment in the VUE booth (ACC North #18105), including the e-352 and e-351 Nano speakers and the new-for-NAMM es-269 subwoofer, with ACM technology, and the VUEDrive V242 Systems Engine. The new VUEDrive V242 Systems Engine adds Dante networking and sophisticated DSP along with two inputs and four 500-watt, high-efficiency amplifier outputs/zones. On-board, factory-configured DSP presets are provided specifically for all models and application alignments of e-Class systems. 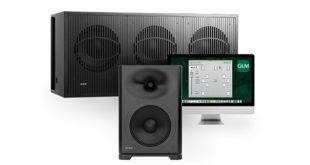 The V242 features full network remote control via SystemVUE software on iOS, Mac OS, and Windows along with Analogue, AES digital and Dante network audio inputs. 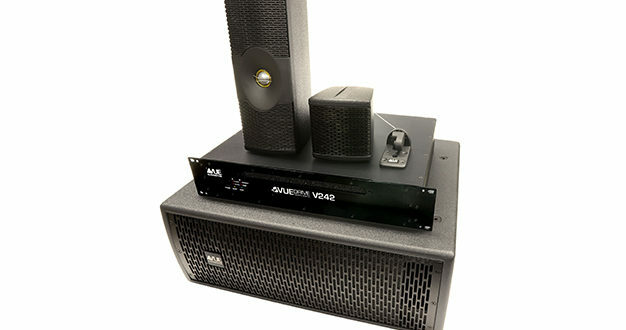 The new es-269 subwoofer combines two 6×9 transducers, VUEDrive electronics, and VUE’s Active Compliance Management (ACM) technology. Originally developed for VUE’s flagship hs-Class touring subwoofers, ACM is deisnged for extended response with higher output than any traditional vented design topology by combining both band-pass and vented alignments into a single enclosure. The use of ACM technology allows the es-269 to deliver reference-quality flat low-end response down to 40 Hz. Stop by the VUE NAMM booth #18105 to see the newly expanded e-Class Uber Performance Architectural Elements.